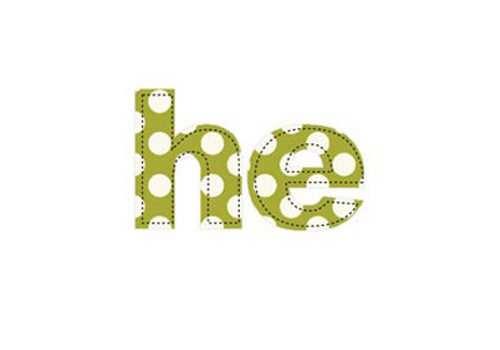 Prima Fabric Stitched Words - He. One Word per Pack. Approximate Size: 2.25"